There are many good reasons to indulge in a treatment or two (or three, or four) at our relaxing, rejuvenating Massage Treatments rooms. You could be coming off a long flight, a hard day of work, or a couple hours walking the streets of Tel Aviv. Or maybe you’re just celebrating having enough free time to actually enjoy a Massage. The experience is also ideal for couples on a getaway. Indulge in our couples’ treatments and spoil each other in the name of romance. After you’ve treated your bodies and souls, relax on the rooftop garden with a bottle of bubbly. You can dictate how much pressure your massage therapist uses, and select from a host of massage styles based on your body’s needs. We even offer pregnancy massage for those gorgeous and glowing expectant mothers. Enjoy an extra layer of relaxation with our aromatic massage oils. There’s a reason classics are classic, and our Swedish massage is no exception. This pampering massage uses warm aromatic oils and pressure tailored to the individual to promote relaxation and circulation while easing muscle tension. If you have tension that needs to be released, be it physical or emotional, then this is the massage for you. 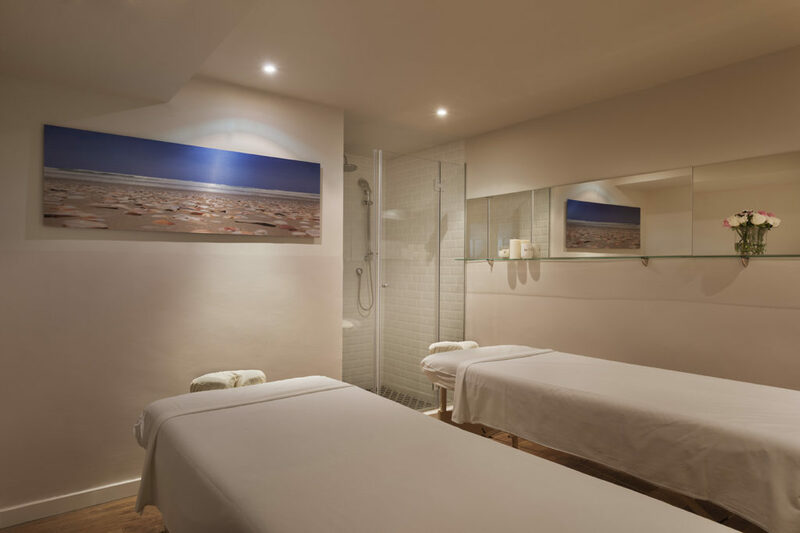 Our deep tissue massage uses long, slow strokes to get down to the deep layers of muscle and connective tissue. A unique experience with a focus on healing. During our reflexology treatment, our therapists massage and apply pressure to strategic points on the feet that correspond with each and every part of the body to ease pain and tension while relaxing and pampering. We know that if anyone can use a little extra time to relax and be pampered, it’s an expectant mother. This is a gentle massage that uses sweet almond oil and focuses on improving circulation and mobility while also relieving common prenatal discomforts as well as tiredness and stress. The ultimate indulgence. Our signature hot almond oil massage is a complete holistic Shenkin-style delight. This treatment reduces stress and soothes muscle tension while enhancing vitality. *** Couples who would like to enjoy one of our relaxing treatments together are welcomed to complete their special day with a complementary bottle of Cava on our gorgeous sundeck rooftop. * The spa hours varies. please set your spa treatment directly via the reception. The spa is closed on Saturdays.